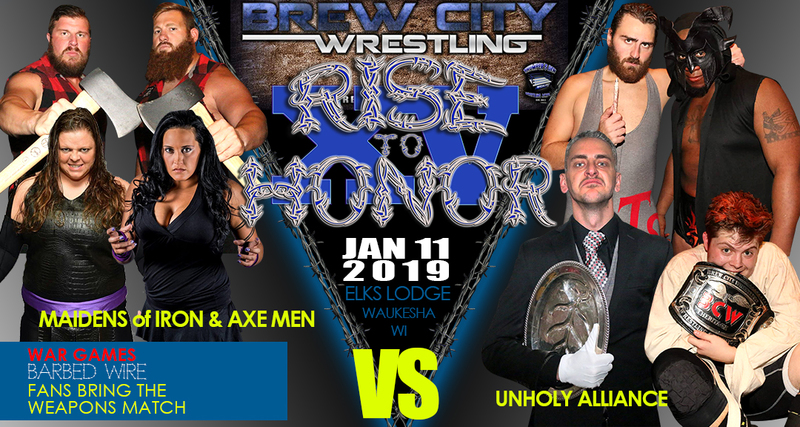 Brew City Wrestling 1/11/19 "Rise To Honor XV"
The Stars of Brew City Wrestling return to the Elks Lodge, 2301 Springdale Rd. 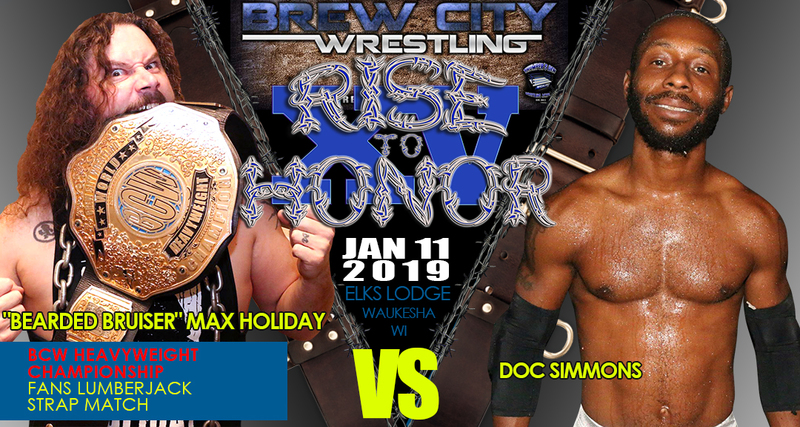 in Waukesha, WI.on Friday, January 11 with "Rise To Honor XV"- 15 Years Of FAN-demonium. Bell time is 7:30pm, doors open at 6:45pm. Ringside is sold out, $16 advance ONLY on brewcitywrestling1.com or $18 at the door. Tickets are going fast for "Rise To Honor XV". Brew City Wrestling starts off 2019 with 15 Years of FAN-demonium on Friday, Jan 11. Tickets available on brewcitywrestling1.com. BCW MEDIA UPDATE! 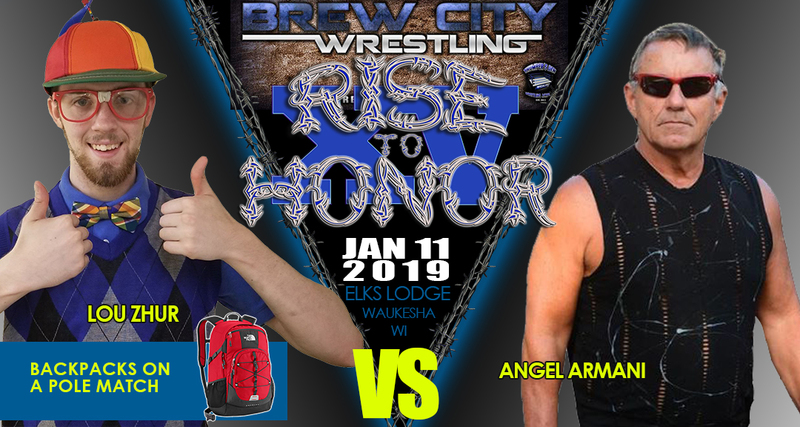 Angel Armani wanted to take on Lou Zhur in Street Fight, but at "Rise To Honor XV" on January 11 at the Waukesha Elks Lodge 400, 2301 Springdale Rd. Lou has now made it a "Geek Fight with Backpacks on Poles" match. There will be 4 backpacks according to Lou with "geek things in them to use" in the match. Tickets available on brewcitywrestling1.com. BCW MEDIA UPDATE! 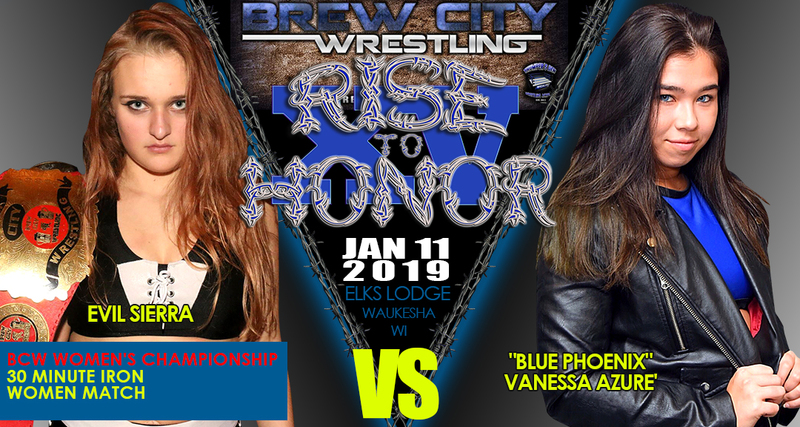 For the past 2 years, Evil Sierra and "Blue Phoenix" Vanessa Azure' have had many battles for the Brew City Wrestling Women's title. In November, they battled to a 15 minute draw. 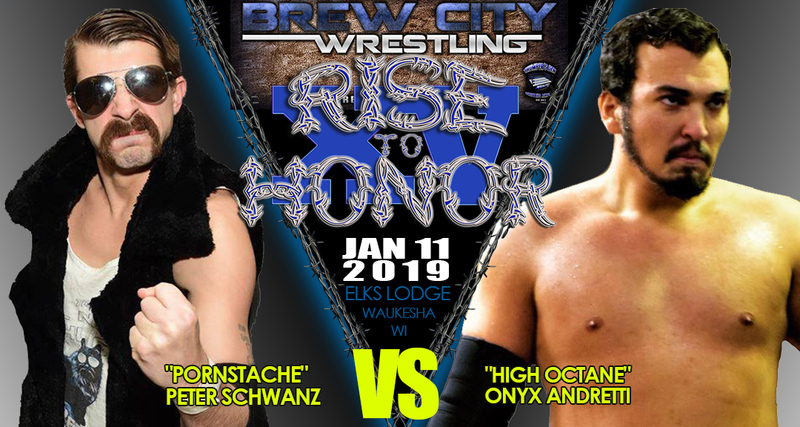 So now on January 11 at "Rise To Honor XV, they will duke it out in a 30 Minute Iron Women's match for the BCW Women's championship. Tickets available for $16 on brewcitywrestling1.com. The Stars of Brew City Wrestling return to the Elks Lodge, 2301 Springdale Rd. on Friday, January 11 with "Rise To Honor XV" - 15 Years Of FANdemonium. Bell time is 7:30pm, doors open at 6:45pm. Tickets $16 advance ONLY on brewcitywrestling1.com or $18 at the door. The Stars of Brew City Wrestling return to the Elks Lodge, 2301 Springdale Rd. TOMORROW with "Rise To Honor XV" - 15 Years Of FANdemonium. Bell time is 7:30pm, doors open at 6:45pm. Tickets $16 advance ONLY on brewcitywrestling1.com or $18 at the door. We will be taping for POWERBOMBVTV so bring your signs to get on TV. Advance tickets are limited, PayPal shuts down at 1pm Friday so don't wait. Then stay at the Elks for the after party with the Stars of Brew City Wrestling. PLUS... The 2019 Brew City Wrestling Hall of Honor inductions!